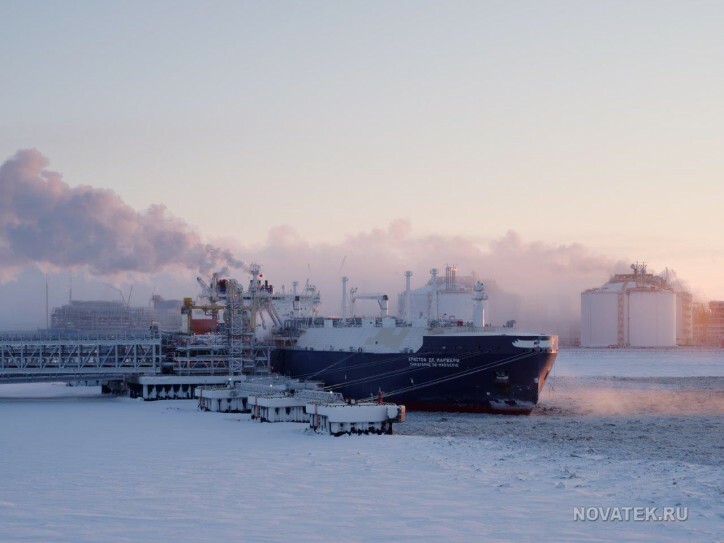 PAO NOVATEK (NOVATEK) announced today that its joint venture Yamal LNG has reached full capacity at the plant’s three LNG trains. The Yamal LNG project was implemented in record time and on budget with the launches of the second and third trains made ahead of schedule by six months and more than a year, respectively. Russian Federation Prime Minister Dmitry Medvedev participated in the official ceremony commemorating this milestone event at Yamal LNG. Yamal LNG is comprised of three liquefaction trains with a total nameplate capacity of 16.5 mmtpa, or 5.5 mmtpa per LNG train. The project is supported by a fleet of Arc7 ice-class tankers supplemented by lower ice-class designated tankers to transport LNG cargos. More than 100 LNG cargoes have been offloaded with approximately 7.5 million tons of LNG produced and delivered to five continents – a year since the Project’s first shipment in December 2017.